After 18 years honing your craft, countless hours spent in the gym, and a childhood filled with sacrifice explain to your fans how it felt to be crowned world champion when you defeated Vanes Martirosyan at the end of 2013? I knew when I was young that my sacrifice would pay off in the long run. I knew that if I worked not only hard but smart that I would be where I am today as world champion.But my dreams and goals go much farther than this. Winning my first title in the pro’s back in November was a great feeling. There are no words to explain what I felt in my heart. It was very special for me to do it with the team I put together and my father as head trainer, the man Paul Andrade. Why did you decide to leave Virgil Hunter and rehire your father Paul Andrade as head trainer? Also what makes Poppa Bear such a great trainer? Training with Virgil hunter was an experience to seek and learn what’s really the best for me. And what I found out is there is no one better for me than the one who raised me from an infant in this game. He taught me the art of boxing and also how to be a man. There is no trainer better for me than the Million Dollar man, the Silver haired professor of pugilism, Paul Andrade. How do you feel about your opponent Brian Rose? 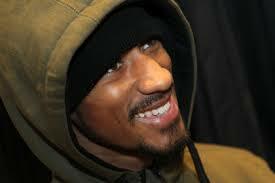 And what do you feel he will bring to the table when challenges you for your WBO 154 LB strap? I expect him to train hard and come into this fight in great shape so we can put on a great show for the fans. And trust me it is definetely going to be a shut out. The WBO is mines and I want the rest of the title also. I want to unify the division and be the undisputed champion. I know that’s me, I just need to opportunity to prove it. How have things changed for you since becoming a world champion? Nothing too crazy, it’s just a constant reminder that I can accomplish anything I want in life. But to answer the question I will say it moved me up a few “levels”. What do you like your new residency of Atlanta, GA? Haha, good question. The A is for the A team. We are here for the #Takeover and we are here to stay. I am new to the City but I can feel the love and support already. How have you given back to your community since starting your pro boxing career back in 2008? I have done many things to give back to my community. I have went and spoke to children in schools, writing letters to kids at the training center for delinquent children. I have volunteered some time teaching boxing at after school programs that my brother organized. But the biggest thing I have done to give back to my community is inspire them and show them that dreams do come true if you work hard and smart and keep God first. What do you believe it will take(on your part and others) to see yourself at the top of the pound4pound list? Its gon take my whole team to work harder and smarter. Work! Work! Work! Harder and smarter! Which active boxers today inspire you to pursue greatness? The best fighter today is Floyd Mayweather. I know I can get to his point and beyond. How do you feel about the purse bid repeatedly being postponed prolonging your return to the ring? I feel all types of ways about it. I am hungry and I want to get back in there as soon as possible and show the people that I am that guy for real. I want all the fights the fans want. I want to fight and beat the best. But at the end of the day what I have learned is cats really want some big $$$$$$ to get in there with me. What are you plans and some of the things you are working on outside of the boxing ring? We are working on the #TAKEOVER!!!! Stay tuned we have some great things going on, and this is my destiny. If you are the owner/manager of a brand and you want to get your company some worlwide exposure then send your info to- A.TEAMBOXING.EVENTS@GMAIL.COM and we can work with my team on an endorsement strategy that works for you and for us.